Bimetal and carbon band saw blades are very universal cutting tool. 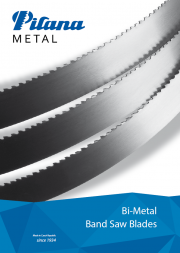 You may find bimetal band saw blades for metal and aluminium in our catalogue. Product range covers bands for small cross sections, profiles, structures and large cross sections. 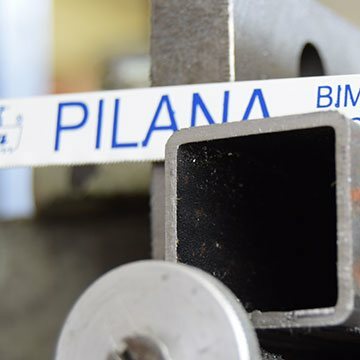 PILANA Metal band saw blades offer high quality and excellent price. 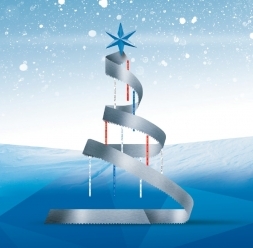 Bimetal band saw blades for wood are excellent choice for hard or frozen wood. In comparison with carbon steel band saw blades the bimetal blades offer better lifetime expectancy and cutting quality. 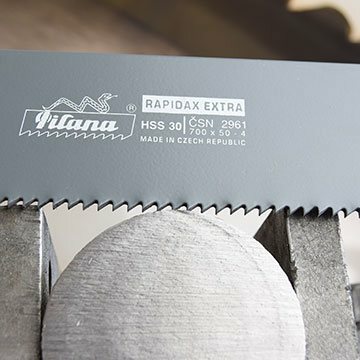 Production of hand hack saw blade has more than 80 year tradition in PILANA. Our hand hacksaw blades are characterized by the highest quality on the market. 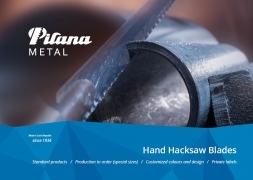 Our product portfolio includes carbon steel hand hacksaw blades, bimetal hand hacksaw blades, HSS hand hacksaw blades in variants Flex and ALL Hard. 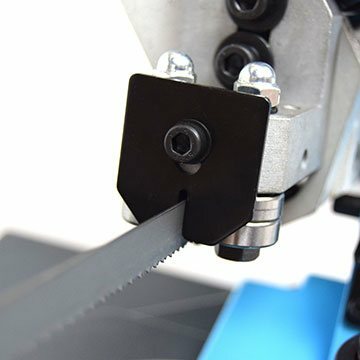 Power hacksaw blades are used for metal cutting in power saws. They are produced in two variants – HSS All Hard and Bimetal. 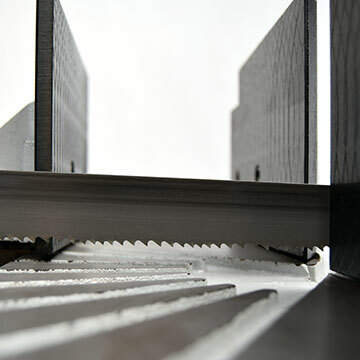 Second group of industrial hacksaws are “KMITOS” hacks saw designed for pneumatic machines. 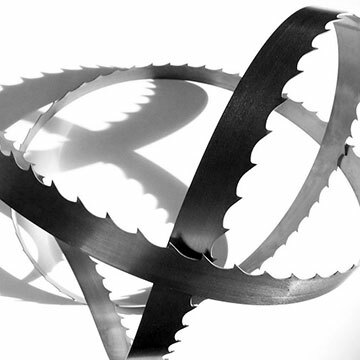 Circular saws are appreciated by customers who demand high speed and precise cut. 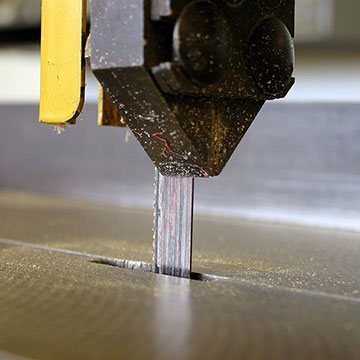 Our product portfolio covers both TCT circular saws and HSS circular saws. Základní modely ručních pásových pil vhodné do údržbářských dílen a menších provozů. Pro řezání malých průřezů plných materiálů a úhlové řezání profilů. Jednoduché modely ručních pásových pil umožňující dvojí způsob řezání (ručně a řízeným klesáním ramene).